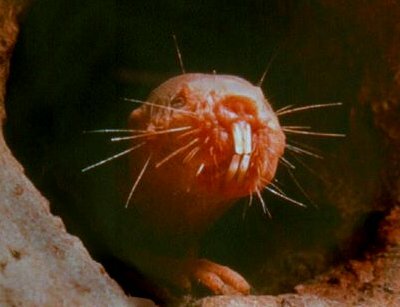 Naked mole rats live about eight times longer than their cousin rodents of similar size. They have a long lifespan and a long healthspan. They live a life pretty much cancer free and then their health falls apart at the end. Perhaps, we can learn something from them. 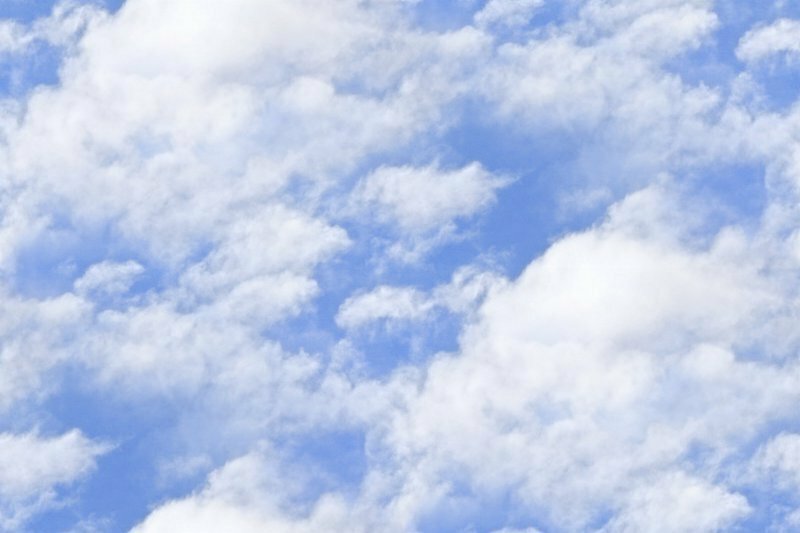 Wouldn't you like to live a productive life as long as one hundred and twenty-five years (what many genetic experts believe is our possible lifespan), and then quickly fall apart just before you die? Naked mole rats (NMR) live about 28-30 years. 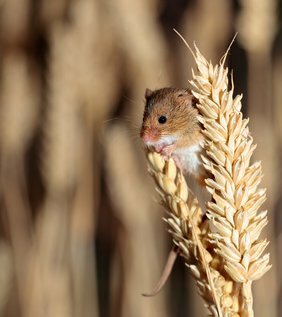 Field mice, which are similar in body weight, live about 3 1/2 years. NMR have their genes to thank for their lifespan. Their healthspan may be a combination of their genes and their lifestyle. They don't eat fried foods, they don't eat sugar, and they don't smoke, but they do get plenty of exercise. Viviana Perez, Ph. D., Assistant Professor of Biochemistry and Biophysics is an investigator for the Linus Pauling Institute (LPI). Perez conducts aging research. Like LPI, we're all concerned about heart disease and Alzheimer's disease, and aging. Perez says, "If we can delay aging, we can delay not only those diseases, but almost all chronic diseases." Perez studies naked mole rats. Their aging process is much different from humans and the NMR could have the answers to living long and healthfully. She says, "Interestingly, they live healthily their whole life until the end, when their physiological condition declines rapidly, and then they die. That is what we want to achieve in humans - to maximize 'healthspan.'" Perez is a member of the LPI Healthy Aging Program. Perez explains healthspan for us, ". . . we would like to compress morbidity so most of your life can be disease-free and full of productive vitality." She is researching the role of "proteasome" and NMR longevity. Proteasomes are one the two major intracellular devices in which damaged or unneeded proteins are broken down. The degradation pathway is essential for many cellular processes. Perez has found that protesome activity is 30% higher in NMR compared to mice. Perez states, "We also measured the ubiquitin protein level (Note: Ubiquitin is a regulatory protein that has been found in almost all tissues. ), which is an indirect measure of proteasome activity. Incredibly, the level of ubiquitinated proteins in the naked mole rat didn't change with age, but remained very low, unlike in mice, which is low when young but increases dramatically with age." The decline of proteasome activity is associated with the aging process. Point Defiance Zoo and Aquarium (perhaps a mile away from our home) used to have a colony of NMR in their World of Adaptation. They are not very cute, but they were fun to watch. The closest exhibit currently is at the Pacific Science Center in Seattle. Seattle is much closer than their natural habitat in East Africa. We'll have to visit them. As Yogi Berra said, "You can observe a lot, by just watching." However, I think Dr. Perez does more than just watching the little creatures. We look forward to seeing further studies and results. 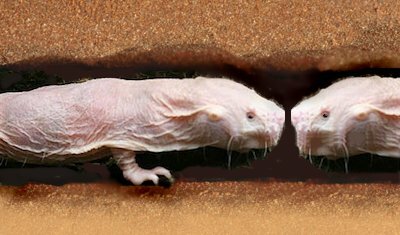 Naked Mole Rats and You - Genes and Lifestyle Make a Difference, genetics, naked mole rats.